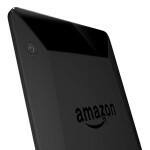 The Amazon Kindle was the first e-reader on the market and continues to set the gold standard for similar products. The new Amazon Kindle Voyage raises that bar one-step further, and with our easy international shipping service, you can now experience this amazing new product no matter where you live. Although other e-readers such as the Barnes and Noble Nook, and even tablets such as the Apple iPad or Microsoft Surface Pro, share many similar features, Kindle remains a solid option for true book lovers. The Amazon Kindle Voyage is the book lover’s e-reader of choice thanks to its unbeatable Carta display technology. For those craving the lightweight convenience of carrying an entire library on one small device, but love the look and feel of the printed word, the Amazon Kindle Voyage offers the best of both worlds. 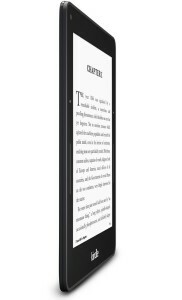 The Amazon Kindle Voyage's crisp display and matte screen finish mimic the pages of your favorite book for easy reading while encased in a sleek 7.6mm frame. The Amazon Kindle Voyage is designed with the reader in mind. 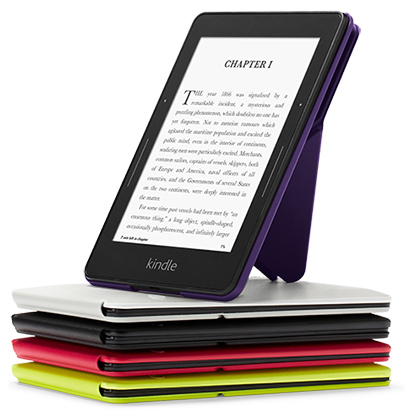 Every detail of the e-reader makes enjoying your books easier and more accessible. You can even share your library with your spouse or family by connecting your Amazon accounts. When you purchase an Amazon Kindle Voyage through us, we'll send you a quote for the device and international shipping rates for your product. Although the Amazon Kindle Voyage does not offer the more complex functionality of a tablet, you can download the Kindle app on your smartphone, iPad, or computer and read or share books on all your devices. With Amazon Kindle’s signature Whispersync technology, all your devices know exactly which page and chapter you’re on, so you’ll never miss a single letter. The Amazon Kindle Voyage’s screen has a subtle, adaptive light sensor that increases the brightness of your screen depending on ambient lighting so you enjoy a matte finish on sunny days or a soft glow when reading in the dark. Amazon Kindle’s PagePress technology allows you to apply pressure on the edge of the device to turn the page for easy reading without swiping or page turning. New 300ppi, high-resolution display boasts unbeatable similarity to real paper. This elegant e-reader allows you to read, take notes, download books on the go, look up words, search for passages or themes within your library, and even translate foreign texts or store your own PDF documents. 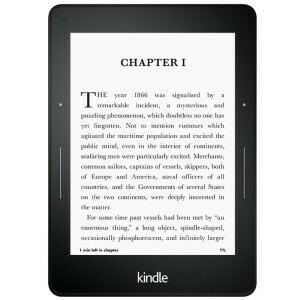 Weighing in at 6.3 ounces, the Amazon Kindle Voyage is the perfect e-reader for jet-setters and worldwide business travelers. Buy the hottest Kindle model today and enjoy international shipping to Australia, Canada, New Zealand, Hong Kong, Singapore, Malaysia, South Africa, France, Israel, Italy, South Korea, Spain, the UAE and more. If you are interested in international shipping for the Amazon Kindle Voyage or would like to purchase yours now, contact us for a free quote!